There is a huge selection of aquarium lighting available on the market, however we highly recommend LED lighting for saltwater reef tanks. LED lighting is efficient, powerful, and cost effective. Without having to spend money yearly on replacement bulbs, LED aquarium lighting will save you money in the long run. If LED lighting is not your thing we also carry a large selection of T5 High Output fixtures and bulbs, plus a large selection of Metal Halide lighting for your fish only aquarium or reef tank. 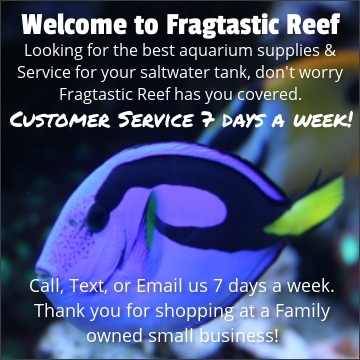 At Fragtastic Reef we sell only the BEST aquarium lighting available! The reason for this is simple; You may pay a little more for name branded lighting but the quality, performance, features, and warranty is hands down the most important things when considering lighting for your aquarium. Less expensive fixtures will not only give subpar results but make your corals just live instead of thrive!